Despite Basketball Wives. L.A. being an absolute snorefest, the series has just been renewed by VH1. Season 4 will wrap up on October 4, and the show has had some strong ratings - finishing at the number one spot in the Sunday 9 PM time slot with women 18-34. 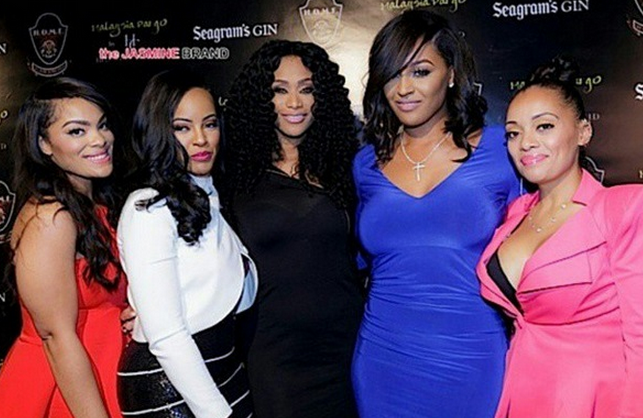 Season 4 included BBWLA vets Draya Michele, Brandi Maxiell, Jackie Christie, and Malaysia Pargo. Newcomers Angel Brinks, Mehgan James of Bad Girls Club, and Patrice Curry were also added to the mix. The one thing that made this season slightly more entertaining was the addition of Shaunie O'Neal and Tami Roman who were used to spice things up, and it clearly worked because ratings for the show increased 157% from last year. Draya will most likely not return for season 5, and Patrice is down for appearing on the show next year, but unless she brings some massive amount of fukkery in the next couple of weeks, her story line will probably be nixed. Are you excited that BBWLA got renewed for a season 5? Or are you sick and tired of this show and its cast?